Come to the land of Brunei, the royal kingdom and enjoy the pleasures of great settings and beautiful travel memories. At the Brunei Darussalam the pleasure of being in the green surroundings is something to be experienced to be believed. This is actually a region that is regarded as the best tropical rainforest in Borneo. So if you are planning to visit Brunei do include wildlife tours as part of your itinerary. The Ulu Temburong National Park is one such region in Brunei which would demand your attention. The entire park is made up of the best kind of habitats and the most ideal forest and jungle vegetation. So you would have the montane forest and the jungle forest all at a great elevation of around 2000 metres. One accesses the pristine surroundings of this park through the longboat river corridors that are a very common feature here. Besides there are the most fascinating jungle tracks here which are perfect for hiking. So it is obvious that this is one zone that has not tracks or roads. Often regarded as a land for the threatened species across Borneo, the UlU Temburong national park is a great zone of beautiful travel delights and the wildest of experiences. The mountainous terrain and the absolutely beautiful topography renders a tourist totally helpless with excitement and thrill and he asks for more as the place is a never ending treasure house of adventurous pursuits. With the steep slopes and the narrow ridges which dot the region, the innumerable peaks with their lovely green caps and the mesmerizing sights of the beautiful land here is something to take back as a travel kitty. The deep jungles with their virgin expanse and the secondary vegetation which is so much a part of the entire area is responsible to have made this one stop experience a must see in travel experiences. 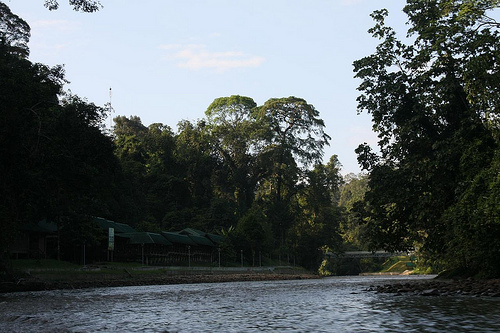 The Belalong river basin is one area within the park precincts which is reserved only for scientific study. There is a Kuala Belalong Field studies Centre which is managed by the Brunei Darussalam University and where there are many scientists who come from all parts of the world to conduct surveys and to study the eco systems and the related animal life. There is a preservation policy here that has totally protected the park from being subjected to activities like destructive logging, plantation development and clearing many areas in Borneo. 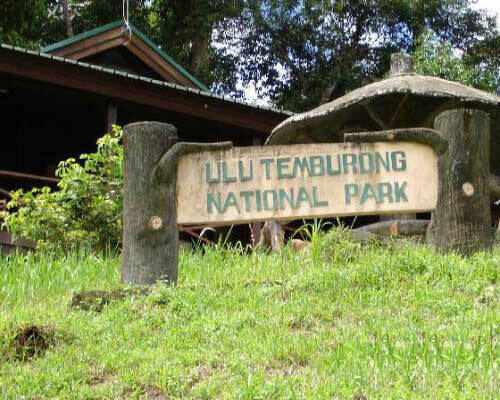 Thus the Ulu Temburong Park is a paradise for all those scientists who appreciate the absolute beauty of Mother Nature. The most adventurous would find this park their home. The 12 kms longboat trip up the steam and through the rapids is very exciting and filled with thrills. Sometimes the longboat has to be pushed in case the water is shallow and many times the tourists walk over the river so that the boat can be managed. The rainfall in the park determines the level of the river water. The interesting factor is the fact that the boatmen and the guides are all locals who have grown up in this area. So they are totally familiar with the park area and the river is their home. So they know where to go looking for fruits and where the hill paddy rice fields would be found. There is a certain pattern to the vegetation here and it is immediately noticed as you reach the entrance of the park. The secondary forests slowly turn into paddy fields and these are mainly found near the batang Duir longhouse. From here the river view changes . For those who want to walk through the park there are facilities of wooden walkways making their walking trails very planned. The Ulu Temburong National park in Brunei is thus a mixture of thrill, fun, excitement and pleasure. Take a tour of the Ulu Temburong national park in this part of Brunei, in Borneo and enjoy the most cherishable travel delights.